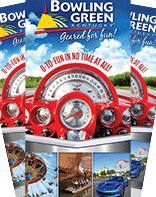 Want to know what's new to do in Bowling Green, Ky. this year? We've got you covered with details on the new geared for fun experiences in 2018. 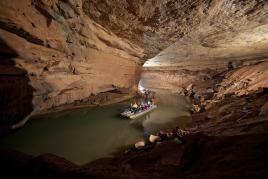 The Flying Squirrel Zipline will open at Lost River Cave this spring. This high-flying adventure is three zips that take you high above the lush Lost River Valley — in fact, some parts of the zipline are 100-ft above the valley. If you have a little one who wants to zip, there is also a children’s option. The smaller, Lightning Bug also features three ziplines, but it is just 15-20 feet off the ground. 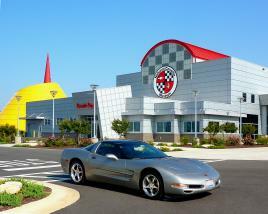 If you like to keep your adventures a little closer to the ground, then check out the National Corvette Museum’s new Corvette Simulator. The cockpit of the simulator is an actual C6 Corvette, and when you get in the car, you’ll have the option of racing as if you are in a C6 Grand Sport Convertible, C7 Stingray Coupe, or a Corvette Racing C7.R. For $10, you get a four-minute driving experience. Passengers are even welcome! Children can take the simulator for a spin, as long as they are big enough to touch the pedals and steer — or, if your child can’t quite reach the pedals yet, let them sit in your lap while they steer. Don’t forget about the adjacent NCM Motorsports Park, either. Visit its website to learn about the various ways you can take a spin on the track: from touring laps where you can drive your own vehicle — whether it’s a family sedan or something flashy on the 3.2 mile track — to the Corvette Experience, where you have classes and get to drive a museum-owned Corvette on the track. Do you already own a Corvette or other high-performance vehicle? If so, you might enjoy the Motorsports Park’s High Performance Driver Education program. If go-karts are more your speed, spend part of the day racing at the NCM Kartplex. The Kartplex is closed for the winter for walk-up business and will re-open March 3, 2018. It is available for private group events year-round. While we love our locally made Corvettes, Bowling Green is home to more than a dozen, large car shows and races featuring a variety of makes and models in 2018. Two are new to Bowling Green this year: the Holley EFI Outlaw Street Car Reunion V from April 18-22, and the OPTIMA Search for the Ultimate Street Car on June 2-3. Beech Bend Park is installing a new version of a favorite family ride — the Tornado. This ride is designed so the whole family can participate and control the ride. Eight arms holding four passengers each rotate counter-clockwise, and the motor raises the cars up, letting the riders fly through the air. Riders can add a “tornado” feeling by using the wheel to spin each, individual car. The new Tornado will be installed and ready for opening day on May 5. Families will also enjoy the new Groovy Bus, a children’s ride that is bright, colorful and fashioned after a VW bus from the 1960s. 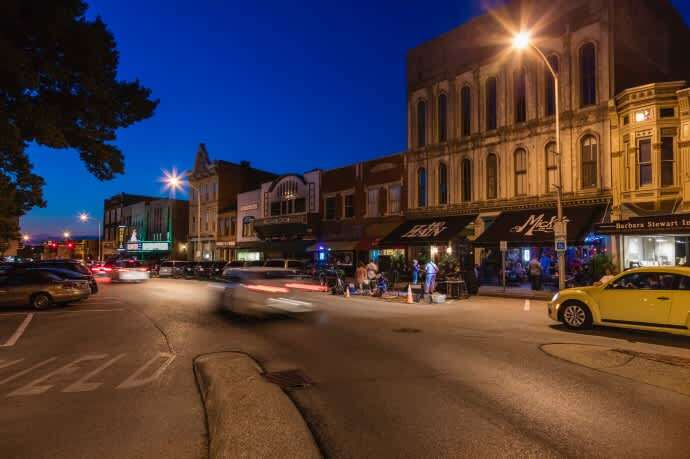 There is always something happening in Bowling Green! Visit our Events page to search the full calendar for what all is happening in Bowling Green in 2018. We are constantly updating the calendar, and there are so many events and attractions that make Bowling Green worth visiting!